Christian Dior started off life running a small Daddy financed art gallery. He then moved on to fashion. I like the way Dior named all is gowns and in this case, Eugénie, Napolean III’s wife . 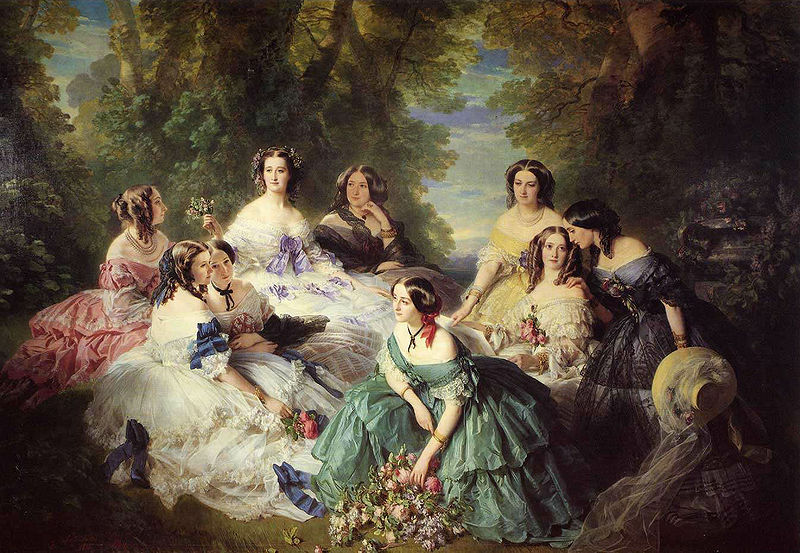 You can see Eugénie in Franz Xaver Winterhalter painting below. He captures all the frothy confection of the period. And Dior recreates it in this florid piece. With tiny curlicues of wire used to keep the lace in the proper place on the neckline of the over the top gown. Amazing detail.